A lot of work have been done since the last screenshots I put on MKD games. 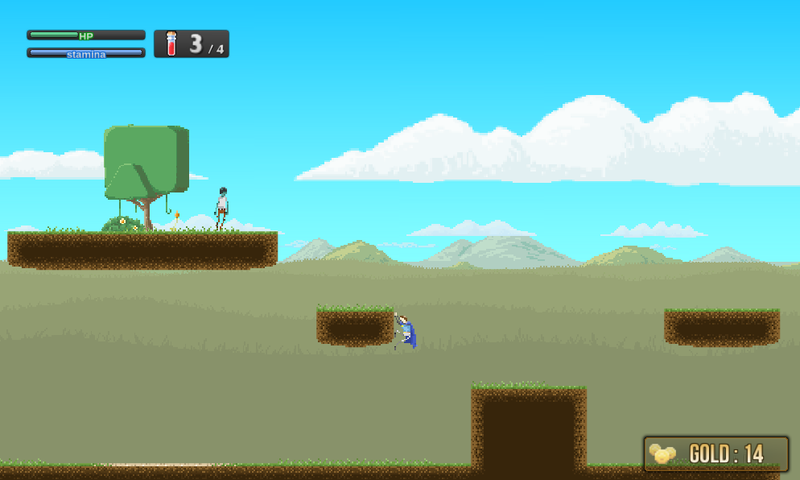 So here are a few screenshots of the current version of the game and, after that, new interface stuff. 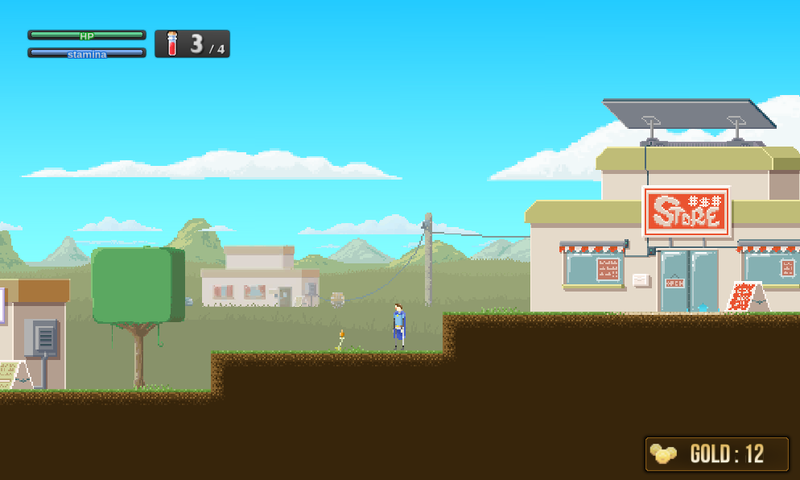 The hero's village with new parallax background and sky. It's a rework (not finished yet) of level one's background, that you can see below, with a sight of the climb mechanic I made recently. After hours of hard work, I'm happy to have a working interface now ! 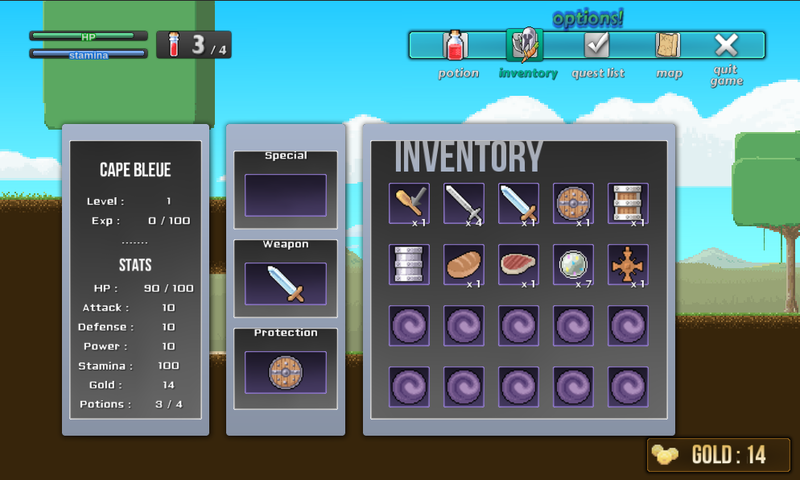 Here are some pics of the interface for inventory and quest management. All the graphics are still a work in progress (and objects are not made by me & will be replaced), but programming is 95% done. 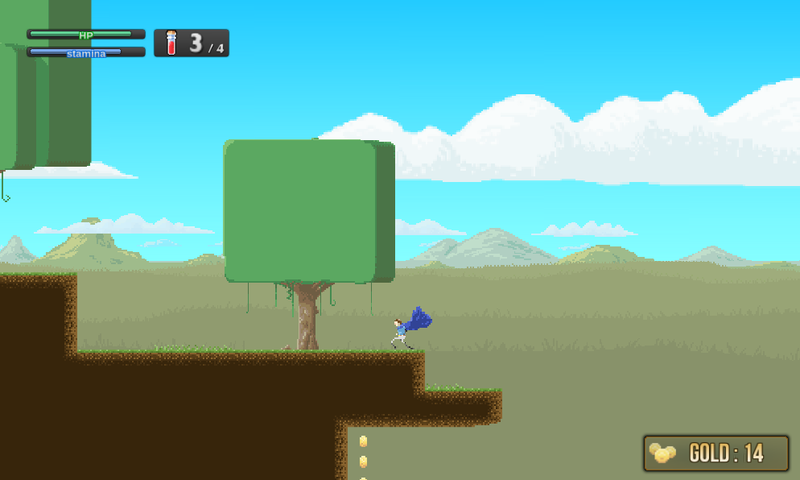 The player can equip 3 objects : a weapon, a protection and a "special" (which allows a special ability, like shooting or double jump). There are consumable objects too, and quest objects. 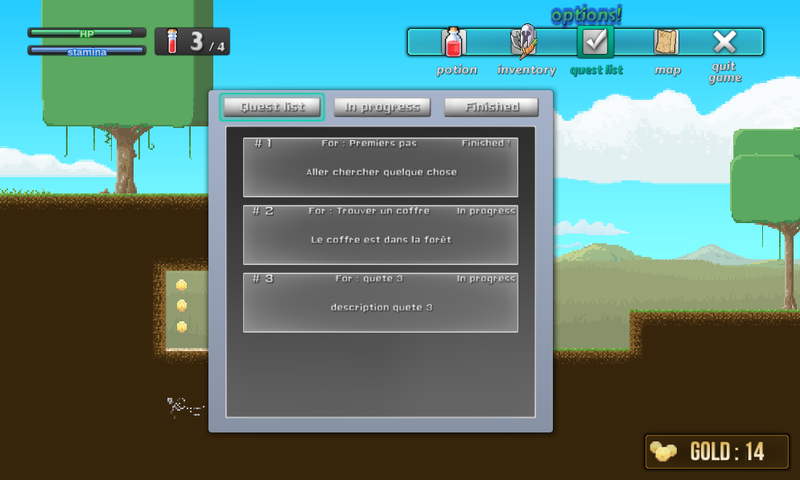 On this screen the player can see all the quests, categorized as "in progress" or "finished". And I wanted a solution to hide a technical problem when a scene is started (we were able to see the camera positioning itself on player's sprite, sprite positioning etc. ), so I did an animated screen to show level's name at start. See below.